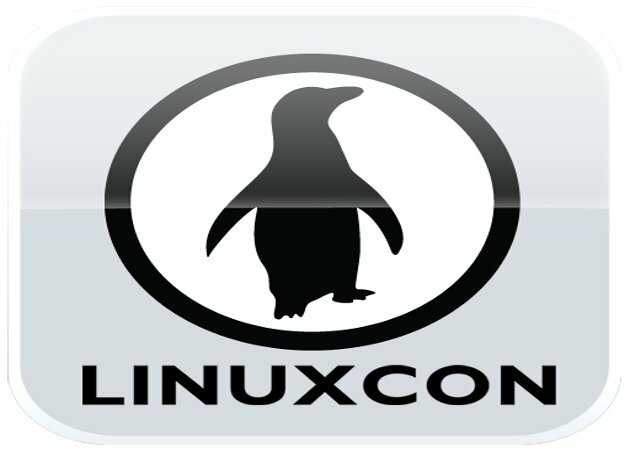 The LinuxCon conferences are annual events organised by the Linux Foundation and currently held in North America, Japan and Brazil. This week in LinuxCon Brazil, Linus Torvalds, the creator of the Linux kernel, shared his views on "locked down" technologies from the likes of Microsoft and Apple. Specifically, Torvalds talked about Apple's use of DRM (Digital Rights Management) and Microsoft's new Secure Boot feature that will be used in their upcoming Windows 8 OS. The new Secure Boot feature has been causing quite a stir since it was originally announced as it could potentially restrict the software that can run on a device. Currently if you buy a computer, you are free to install any operating system that is supported by the particular hardware. With Secure Boot, the operating system itself would have to pass through a review process and be given a digital key which would tell the Secure Boot process that it's OK to run. This of course means that specific manufacturers or organisations would selectively review operating systems and grant or deny their ability to be run by a device. This restriction has recently been relaxed slightly by Microsoft; they now will allow hardware manufacturers to opt-in to this system if they so desire. But still, when buying new devices this is an extra restriction that might be imposed on consumers. DRM by Apple and other companies has also been a very contentious issue over the last few years. DRM is usually applied to media that is purchased to help prevent piracy. The problem with DRM is that it can often make a customer feel that even though they have paid for something, they don't really own it. There have been many cases where people have purchased an album, for example, then lost the ability to listen to it because they have changed their computer, lost their original accounts etc. Both of these technologies are restrictive and arguments for and against them can be made. On the one hand, DRM means that media retailers have more confidence knowing that what they sell will only be used by that one person and only on authorised devices, Secure Boot means that a hardware manufacturer (who might have an agreement with Microsoft) knows that the consumer will be tied-in to the OS that was provided with the device (and therefore all subsequent software purchases will be for that OS). On the other hand, is this what we as consumers really want? Many people would say no. Personally, if I buy an album I want to know that it's mine regardless of where I choose to listen to it or how many times I make a personal copy. Similarly, if I buy a device (like a new laptop), I want to be able to install my favourite OS (Linux), maybe even dual-booting with Windows. Torvalds raised a very interesting point in his discussion, "People want freedom and markets want freedom". The UK and America are both free-market economies and their citizens exist in these societies as consumers. The free-market is characterised by the laissez-faire attitude of governments, meaning that the market is seen to be self-controlling, not needing outside interference. While these "locked down" technologies obviously are attractive to businesses, is that really what consumers want? If we take a look at technology not as a business but more as a continually evolving science and a tool for people to use, is locking down really the best way to make advances? The Mashable article (see below) also talks about why this particular issue is important to the Brazilian people. Due to specific legal requirements from the Brazilian government (relating to paying for apps from Apple's store), Apple have removed the games category from it's store for Brazilian users. Apple has recently been criticised in Brazil as being, "the most closed company in the world". Obviously there are two viewpoints here, one of technology as a science and the other of business. But I really believe that this are important points and ones that need further discussion. I firmly believe that a better way needs to be found so that consumers can still consume but without restriction that might hold back the technological science.